I recently visited Moraira to enjoy a coffee in a seafront cafe, in the El Portet area of Moraira. It is a magical bay, surrounded by villas and small apartments, overlooking the Mediterranean Sea and sheltered from the north winds. As apartments are built in Javea and Moraira, usually almost 100% of the property is sold before the complex is finished. Why is this? Typically the property purchasers are from Madrid or Northern Europe. Those from Madrid may be attracted by the property prices, always lower than the property prices in the city of Madrid. Also they can holiday in their new homes by the sea, escape the heat of the summer months in the city and enjoy the refreshing sea breezes, the beautiful surrounding scenery and the Mediterranean lifestyle. Property purchasers from the UK and other northern European countries are attracted by the off plan property prices offered by the constructors. The other benefit is of course the summer holiday rental period, which can provide an extra income to help to pay for their property investments. 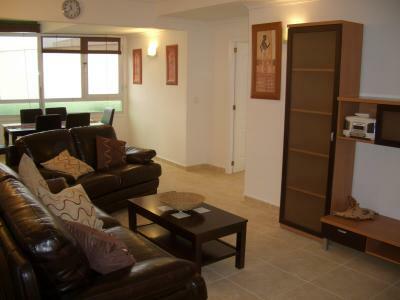 Javea has seen over 2000 apartments built in the last 10 years. Each year more and more people visit the area and then decide to return and live here all year round. It is a real pleasure to see young families arriving to live in Spain, wishing to improve their lives and escape from their mundane jobs, high mortgages and the dull weather. They have decided to live their dream and start a new life in the Mediterranean sun. Be careful though, as many have to return to the UK because of lower wages and private school fees. 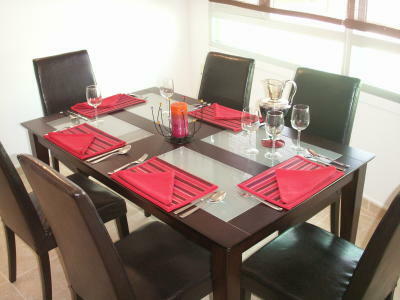 Eating out in Javea and Moraira is cheaper than in the UK, so you tend to eat out more often. So do your sums well. It’s easier to spend money than to earn it, anywhere in the world. 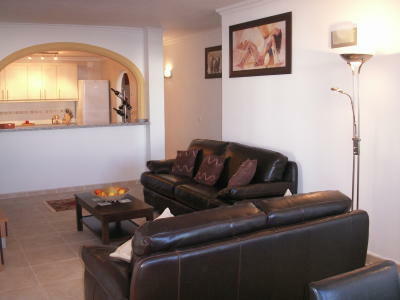 Moraira has fewer new apartments, due to the scarcity of land along the Moraira coastline. Javea in turn has more land available to build new property and apartments. 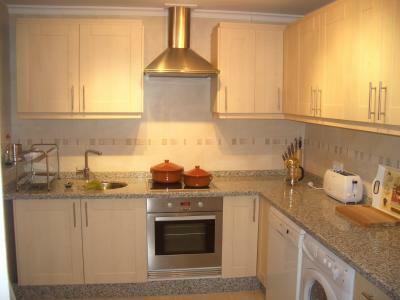 Therefore the property prices of apartments in Moraira are a lot higher. New builds are costing up to 4,000 euros per square metre in Moraira, while in Javea prices for new apartments start at 2,200 euros per square metre. 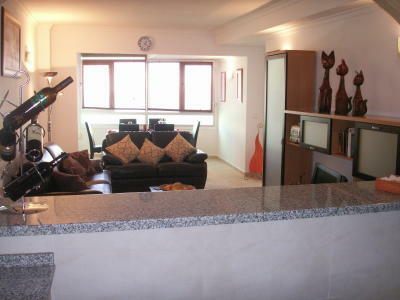 I visited a fantastic property in Moraira, an apartment. The property owners have invested a lot of time and well spent money on reforming a three bedroom apartment in an older complex. The transformation was brilliant. No expense was spared on the property, new fittings, kitchen units, floor tiling, new electrics and even creating an extra shower room in an area which was originally part of the entrance hall. Every area in the property has been finished to a high standard, the floors, walls, marble worktops in the kitchen, new doors. It also has hot and cold air conditioning. 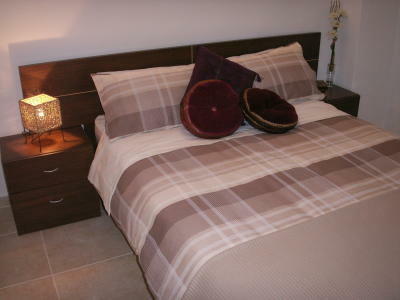 The property refurbishment was one of the best that I have seen. Well done to the owners! And good luck to the future Moraira property purchasers, as they will be delighted with their new 3 bedroom, 2 bathroom apartment in Moraira, just a 5 minute stroll to the old town and the beach. 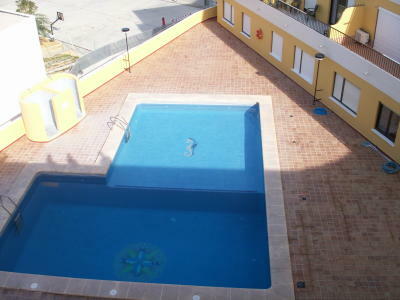 Alternatively, there is a large pool on the 5th floor, if you fancy a dip, just metres from this fantastic apartment!. Have a comment on Moraira Property?